Preparing to begin Tesla Model S deliveries in Europe, the company announced European pricing and called on European reservation holders to begin finalizing their order. On Wednesday, Tesla Motors announced the price for the European Tesla Model S, following last weeks announcement that Tesla had opened a parts distribution and Tesla Model S assembly center in Europe. The company has been delivering the Model S in the U.S. since June, began Canadian deliveries last week, and are preparing to begin deliveries to European Model S reservation holders. Starting in January, European Signature Model S reservation holders will be able to begin configuring their Signature Model S. The Signature series is a limited run of Model S's with extra features and a low VIN number, for those who prize such things. The price in Europe is higher than the U.S. price, but Tesla's announcement explains this is because of higher shipping costs, import duties, taxes, and differences in incentives. The company is seeking to make the same level of profit from the car no matter of which country it is delivered to. This is different from other (unnamed by Tesla) automakers who price their cars to get more profit from one country versus another. 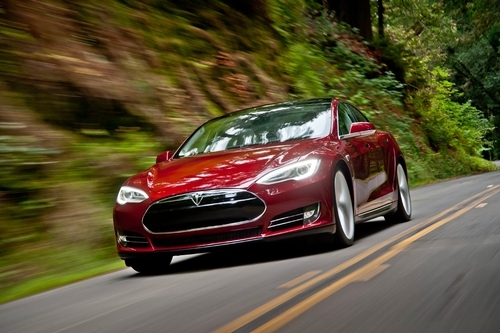 While there will be no difference in options between U.S. and European Model S's, Tesla will not import the 40 kilowatt-hour model to Europe in 2013 at all. In November the company announced a Model S price increase that goes into effect December 31, 2012, and affects new orders or those existing reservation holders who do not finalize their orders promptly. European Model S reservation holders obviously cannot even begin finalizing their order until after that date. Tesla is making up for this by giving a €1,700 (or the local currency equivalent in other countries) price deduction for any existing European reservation holder who finalizes their order within four weeks after receiving their “Invitation to Configure”. European left hand drive deliveries are scheduled to begin in late Spring of 2013. The right hand drive Model S's for those in the U.K. will begin production in late 2013, with final pricing to be announced approximately four to five months prior to the start of deliveries. The same €1,700 (local equivalent in GBP) deduction will apply for anyone with a reservation placed before December 31, 2012. The prices are posted on Tesla's country-specific websites, which you can visit by scrolling to the very bottom of TeslaMotors.com and clicking on the "Select Region" button. Signature Performance: € 110.950 - $146,187 equiv - 85 kilowatt-hours - 0 to 100 km/h in 4.6 seconds - High performance drive inverter - quarter mile 12.6 seconds - top speed 212 km/h - peak power 416 hp (310 kW) 5,000-8,600 rpm - peak torque 443 lb-ft (600 Nm) 0-5,100 rpm. Signature: € 101.400 - $133,635 equiv - 85 kilowatt-hours - 0 to 100 km/h in 5.9 seconds - quarter mile 13.7 seconds - top speed 200 km/h - peak power 362 hp (270 kW) 5,000-8,600 rpm - peak torque 325 lb-ft (440 Nm) 0-5,100 rpm. Model S Performance: € 97.550 - $128,522 equiv - 85 kilowatt-hours - 0 to 100 km/h in 4.6 seconds - High performance drive inverter - quarter mile 12.6 seconds - top speed 212 km/h - peak power 416 hp (310 kW) 5,000-8,600 rpm - peak torque 443 lb-ft (600 Nm) 0-5,100 rpm. Model S 85 kilowatt-hours: € 83.150 - $109,550 equiv - 85 kilowatt-hours - 0 to 100 km/h in 5.9 seconds - quarter mile 13.7 seconds - top speed 200 km/h - peak power 362 hp (270 kW) 5,000-8,600 rpm - peak torque 325 lb-ft (440 Nm) 0-5,100 rpm. Model S 60 kilowatt-hours: € 72.600 - $95,657 equiv - 60 kilowatt-hours - 0 to 100 km/h in not yet announced - quarter mile 14.2 seconds - top speed 193 km/h - peak power 302 hp (225 kW) 5,000-8,600 rpm - peak torque 317 lb-ft (430 Nm) 0-5,100 rpm. Check carefully on the prices because there may be local incentives that are, or are not, included in the figures published on the website. In the U.S. Tesla adds a bit of confusion by including the $7,500 federal tax credit in the published price. These prices do include delivery at the closest Tesla Service Center, and include VAT, but the prices vary based on the country of residence.